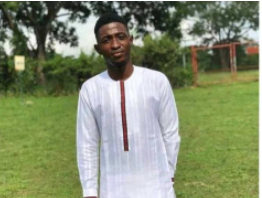 Just a day to his project defense, Mr Ojo Dolapo, a final year student of LAUTECH and the only child of his mum, reportedly died at Shalom hospital in Ogbomoso, Oyo State. At a time when his mum was expecting that very soon, she would begin to eat the fruit of her labour over her only son, she received the news of the death of her son. We pray God comforts the family of the deceased and use the occurrence to draw as many concerned close to Him. 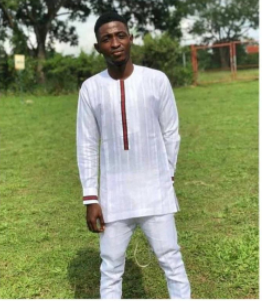 Sometime ago it was alos reported that a student of Ladoke Akintola University of Technology, LAUTECH, Ogbomoso, Fatai Morenikeji, suddenly died on the football pitch. It was gathered then the deceased, a 400 level student of Chemical Engineering, was playing football with his friends, when he slumped and died. Reacting to the occurrence, Vice-Chancellor of the university, Professor Adeniyi Gbadegesin, commiserated with the students who gathered in front of the Senate Building of the university. He also expressed sympathy with the parents of the deceased. He immediately inaugurated an investigative panel to probe issues surrounding the incident, with a view to forestalling a future occurrence. The panel got 72 hours to submit its report to the university authorities. The university’s Director of Medical Services, Dr. Caleb Adegbosin, who also spoke on the incident, said the deceased was rushed to the university’s clinic before being certified clinically dead, and that all efforts to save his life failed. The Vice-Chancellor, in declaring a three-day mourning period, assured the students that their welfare, including medical care, would continue to be given topmost priority attention at all times.